We have had a wonderful start to our school year here at Central Elementary! We appreciate how hard our students are working, how supportive are parents are, and how excited all of our Pirates are about making this year the best one yet. We have some exciting events coming up soon and hope that this Smore (electronic newsletter) is helpful in keeping your family up to date. The email addresses we use for this communication are those addresses which are provided in Skyward/Family Access for your child(ren). If you need assistance updating your email address or adding an additional address, please contact our office. We would be happy to assist you! We look forward to working with you this year as we strive to prepare your child for success this year and beyond! It's a GREAT day to be a Pirate! As you know our campus has adopted a Concious Discipline model as opposed to a traditional discipline model for responding to behavior (both positive and negative) campus wide. ​Where the traditional model focuses on adherence to rules and reactionary consequences the Conscious Discipline model attempts to equip our children with tools to grow and learn in a positive way. The Conscious Discipline method takes more effort admittedly, but I believe our students are worth it. I encourage you, our community, to engage in this process with us. Please ask us questions, learn on your own, discuss with your child's teacher, whatever you would like. We will try to provide resources to you throughout the year as we take this journey together. Below is a link to a video with Dr. Becky Bailey, writer of the Conscious Discipline model, explaining some basic concepts of her program. Let me close by saying we do not hope to avoid conflict altogether, we hope to turn conflicts into opportunities for growth. Thank you for partnering with us. 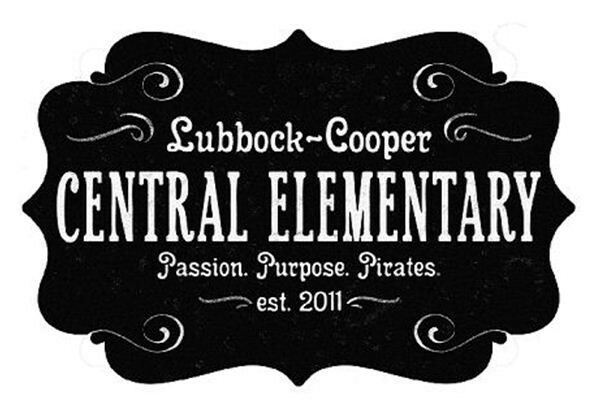 It has been an exciting week at Central Elementary! We have enjoyed seeing our students participate in the fun spirit days each week. Don't forget that tomorrow is Red & Black Day! If your child(ren) will be wearing a mum or garter, please assist them in taping or removing the bells before school. We will have our first Spirit Sale this Friday morning at the main entrance to school, beginning at 7:40 AM. CEPA has a variety of items, including face stickers, water bottles, t-shirts, and more! Please join us at Pirate Stadium this Friday night at 7:00 PM as our Pirates take on Weatherford for our Homecoming game. We are excited about cheering on our team! Join us as we kick-off a new year of Watch D.O.G.S. This program is a tremendous asset to our campus and we look forward to continued involvement of fathers and father-figures at Central Elementary! Don't forget! Lubbock-Cooper staff members will be participating in professional development on Friday, September 23. Students will not attend school on this date. Upcoming Special Events & Important Dates! Mark your calendars for these upcoming special events and important dates! More information will be coming home about each of these special events as we get closer.